A few Dev Catalyst students helped theCO’s Educational Outreach Coordinator, Molly Plyler, facilitate the booth during theCOtoberfest. All three of the students first began coding when the Dev Catalyst program was employed at their particular school. 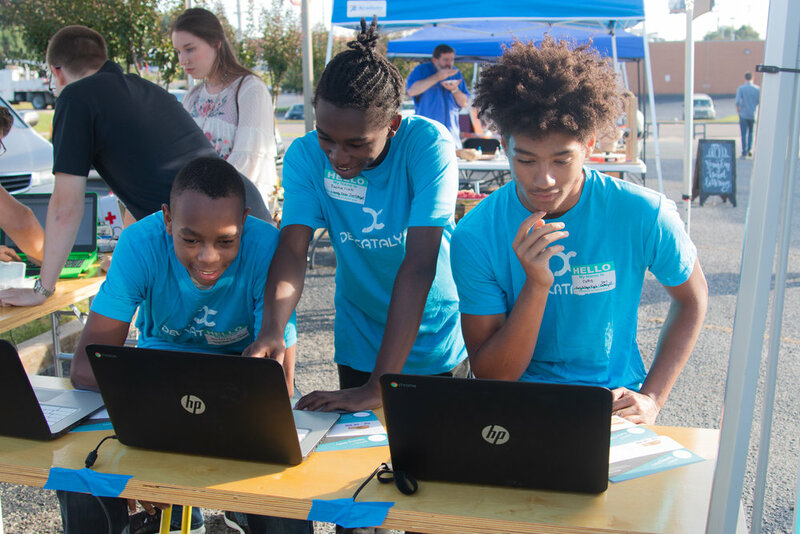 By implementing the Dev Catalyst program into their schools, the school district has been able to introduce countless students to the world of technology by holding competitions for high school computer science students and coaching local teachers in how to best present and teach the content. Dev Catalyst and theCO are proud to be partnered with local high schools, and encourage students across the state to pursue their talents.